It's that time again, just... on schedule this week! I weighed myself earlier on in the week which shows just how much weight can fluctuate, and how the odd pound or two isn't much to really worry about (I gained and lost 4 lbs in 24 hours). 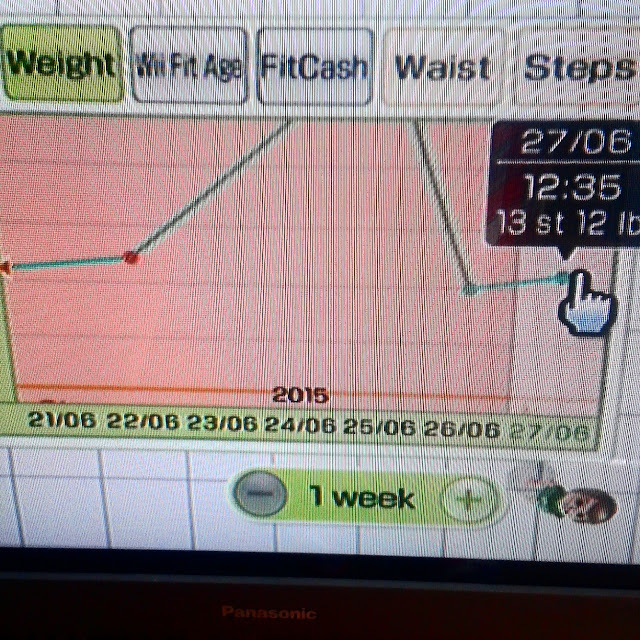 Unsurprisingly I hadn't lost any weight, nor had I really gained any. Again, I weigh less than I did when I started, so all is well! I have found the more ill I get with fatigue the less I care about dieting and the dregs of anorexia don't even try to take control. Maybe it's because I'm too tired. I'm definitely too tired to care consciously. Anyhoo. I have been sent home from work today as I have tired myself out so much so if I gain weight in the next week it's because I'm putting my health first, and that is okay. If I lose weight? Bonus. I just want my body to stop hurting and my brain to start working.